The number of Danes who died from cardiovascular disease has fallen by 70% between 1985 and 2009. No EU member state has a recorded a greater decline in mortality. A ban on trans fat acids in 2003 could be the cause. 46% of all deaths in Europe are caused by cardiovascular disease, making it Europe’s biggest killer. Steen Stender from the Clinical Bio-chemical unit at Gentofte Hospital told the news agency Ritzau that though the fall in mortality rates could be attributed to prevention and better guidance on smoking, physical activity and diet, a ban against added trans fats in food also needs to be taken into consideration. “In 2003, Denmark became the first country in the world to ban this kind of trans fat. 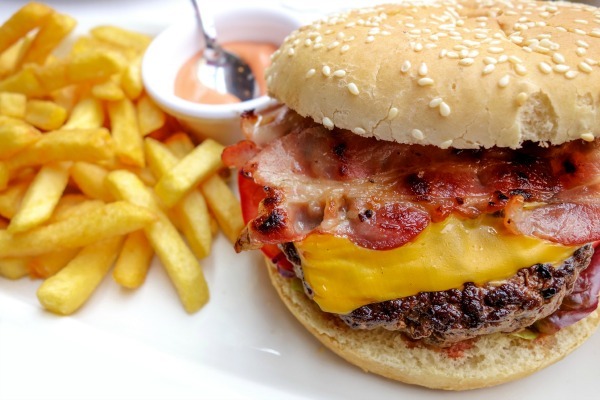 Research has shown that eating more than five grams of trans fats per day increases the risk of cardiovascular disease,” he said. Stender added that Norway and Sweden, the two other Scandinavian countries which don’t have a ban on trans fat acids, normally fare better in health statistics, but suddenly Denmark has taken the lead on health and cardiovascular disease. The expert said the three countries are otherwise comparable when it comes to smoking, diet, physical activity and treatment. The Danish law on trans fat acids sets a maximum level on the content of industrially produced trans fat acids in processed foods. For example, the content of trans fat acids in oils, fats and food products must not exceed two grams per 100 grams of oil or fat. In 2005, the European Commission initiated a lawsuit against Denmark for obstructing the single market, claiming it would result in significant adjustment problems for the food industry, especially fast food chains. The Danish government replied that the legislation was legitimate from a health point of view. In 2007, the EU’s executive decided to withdraw the lawsuit, saying fast food chains were being treated equally under Danish law. According to the World Health Organisation (WHO), chronic maladies, such as cardiovascular disease and cancer, are by far the leading cause of mortality in the world, representing 60% of all deaths. To reduce the number of deaths from heart diseases, European Union countries agreed to tackle the underlying health determinants behind cardiovascular health in its 2014-2020 health programme. Denmark banned the iron fortification of food in 1987. This fits the 1985-2009 time window much better than a trans-fat ban in 2003, though undoubtedly this would have helped too. Consider this – red meat and heme iron consumption is associated with CVD in USA, but not Europe. Iron fortification of food is unavoidable in the USA, even rice is fortified. This is much less the case in European diets. It may be that red meat gets a bad name based on epidemiology from the USA due to this excess fortification.